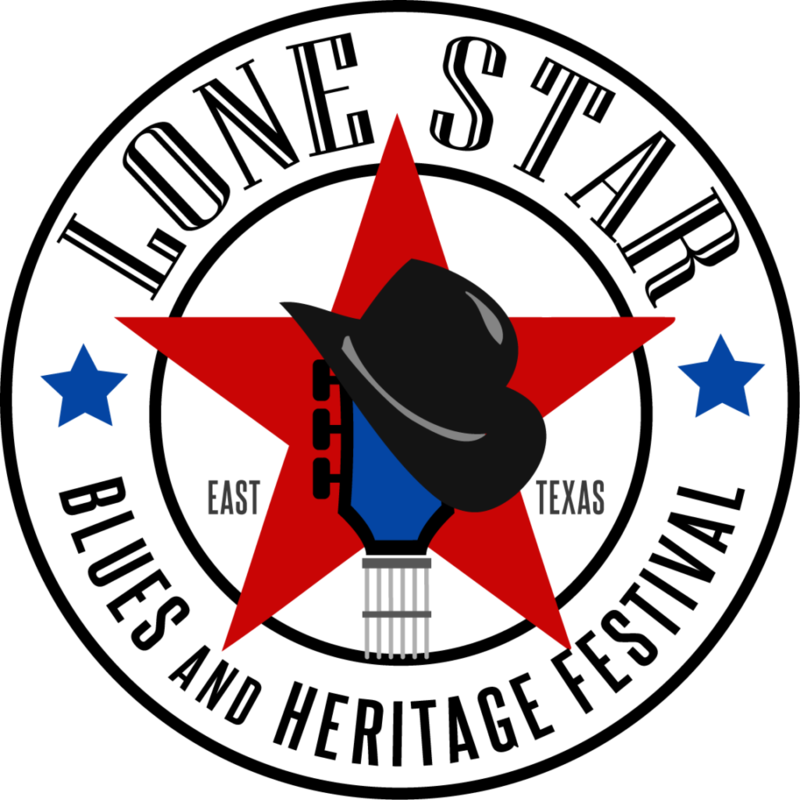 Blues Archives - TheUrbanMusicScene.com | Concerts & Festivals! 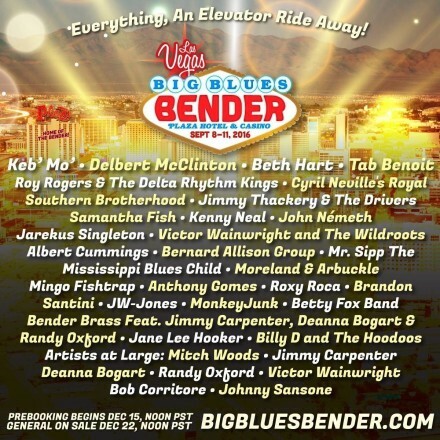 THE NEW BLUES FESTIVAL, SOUTHERN CALIFORNIA’S PREMIER FAMILY BLUES FESTIVAL, HEADS TO HUNTINGTON BEACH! 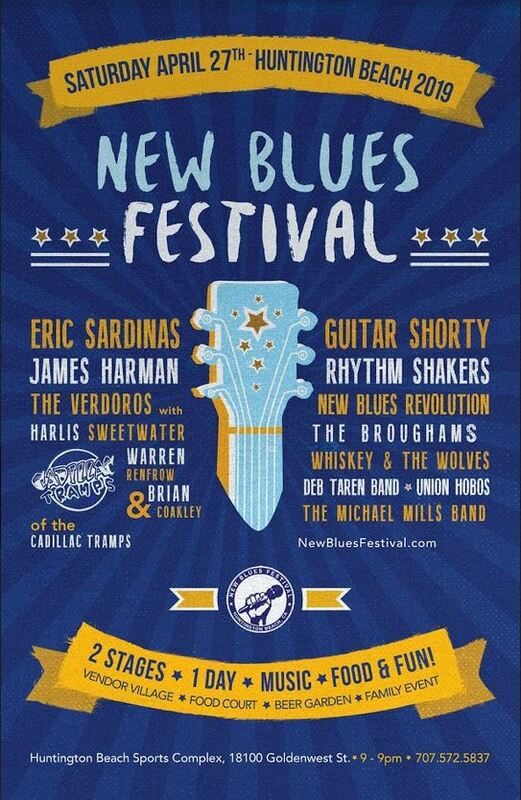 (Huntington Beach, CA) – Get ready for the inaugural Huntington Beach New Blues Festival, at the Huntington Beach Sports Complex, 18100 Goldenwest St., Saturday, April 27. 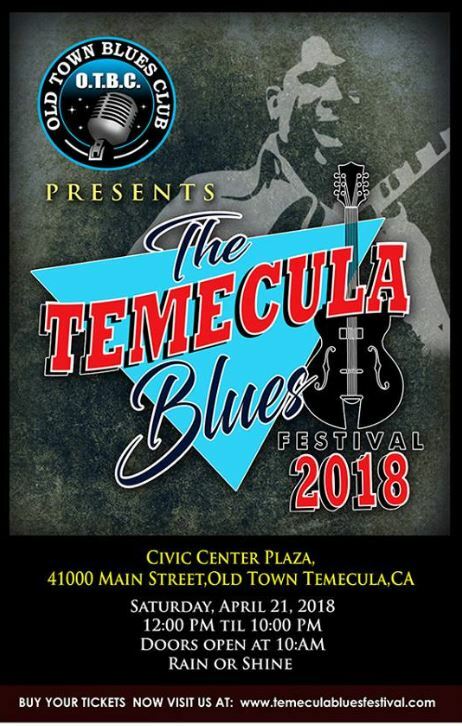 PRESENTED BY OLD TOWN BLUES CLUB IN TEMECULA, CALIF.
(TEMECULA, CA) – The burgeoning SoCal Inland Empire finally has it’s very own Blues Festival with the advent of the 1st Annual Temecula Blues Festival, Civic Center Plaza, 41000 Main St., taking place Saturday, April 21, from 12 Noon until 10 pm (rain or shine). 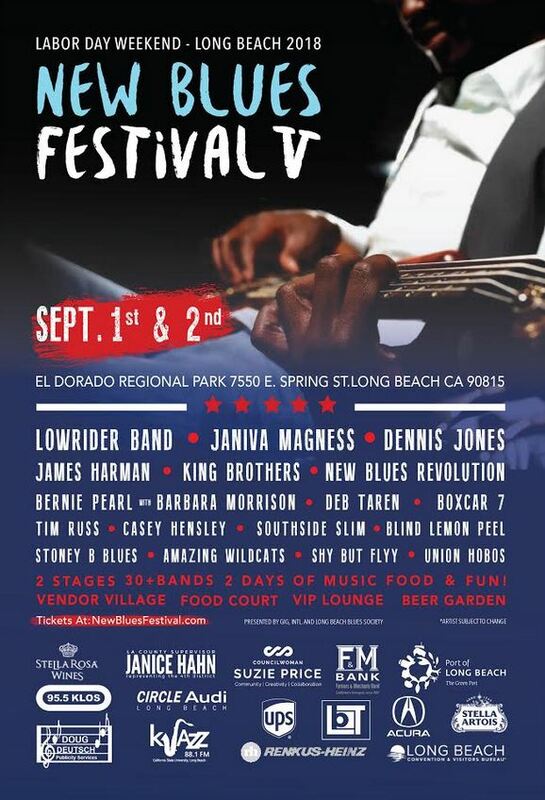 (LONG BEACH, CA) – On Labor Day Weekend, Saturday, September 1 and Sunday, September 2, the New Blues Festival V returns to El Dorado Regional Park for its fifth big consecutive year, featuring two full days of the best in Blues, R&B and Soul music from some of today’s biggest acts. 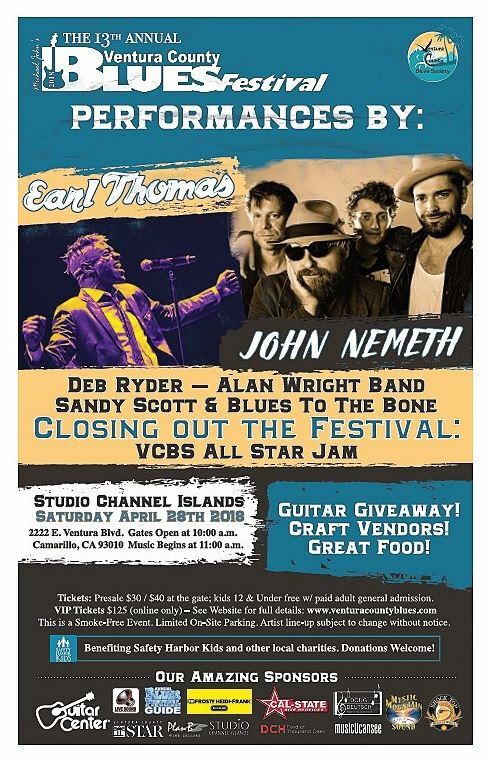 (CAMARILLO, CA) – The 13th Annual Ventura County Blues Festival, Southern California’s Longest-Running Yearly Big Blues Event, returns on Saturday, April 28, to Studio Channel Islands, 2222 E. Ventura Blvd., in Camarillo. Gates open 10:00 am, music begins at 11:00 am. Tickets $30. (Pre-Sale), $40. (Day of Show). 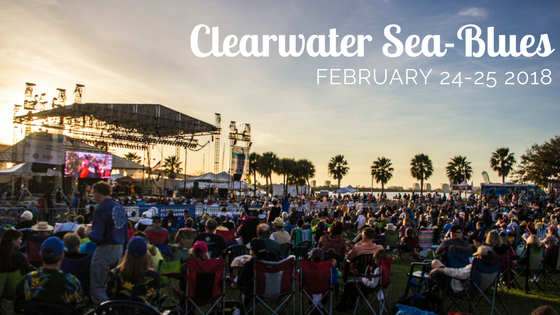 February 24th-25th, 2018, the annual Clearwater Sea-Blues Music Festival is back! 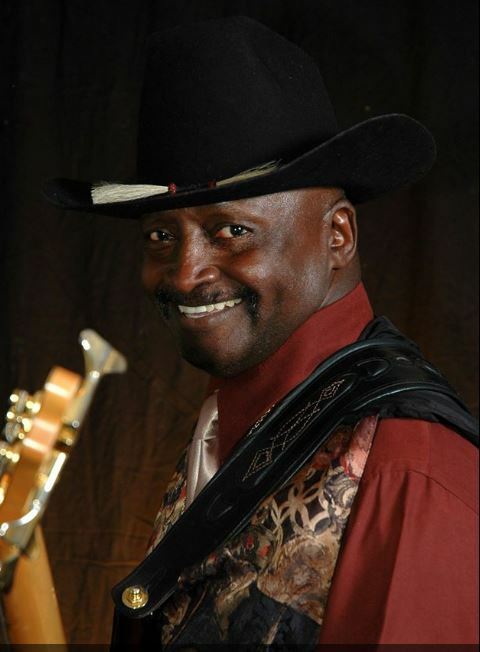 Head down to Coachman Park (301 Drew Street Clearwater, FL 33755) for two days surrounded by the finest Seafood Clearwater has to offer while enjoying Blues music from International Recording Acts! 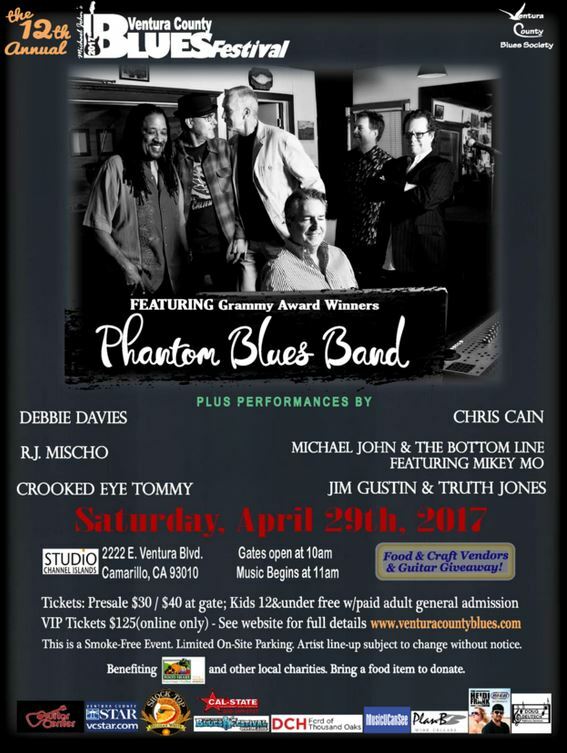 (Camarillo, CA) – Announcing the 12th Annual Ventura County Blues Festival, a Spring SoCal Tradition, Keeping the Blues Alive for a dozen consecutive years, taking place Saturday, April 29, 2017, at Studio Channel Islands, 2222 E. Ventura Blvd., in Camarillo. Gates open 10:00 am, music begins at 11:00 am. Tickets $30. (Pre-Sale), $40. (Day of Show). 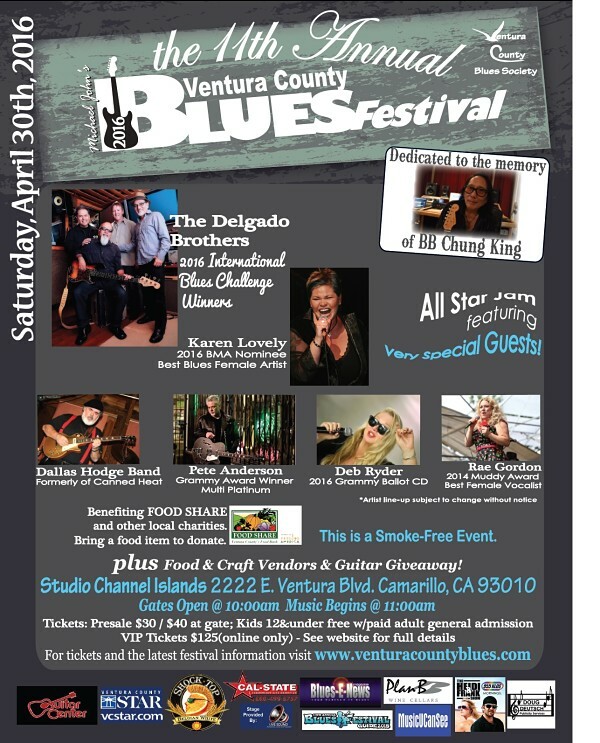 (Camarillo, CA) – An exciting, new location; all-day headlining acts; festival-closing All-Star Jam dedicated to the late BB Chung King; enlarged Food and Craft Vendor area; a powerful, diverse lineup – all these factors promise to make the 11th Annual Ventura County Blues Festival the best festival ever produced by its presenters, the Ventura County Blues Society.